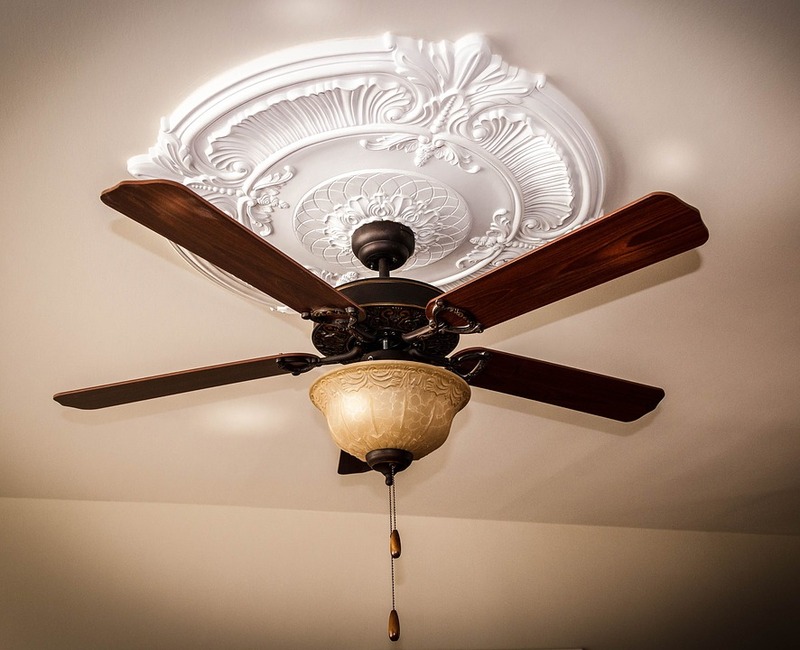 Generally, ceiling fan blades should rotate in a counterclockwise direction to create a cool downward airflow. And in the winter, the blades should rotate in a clockwise direction to redistribute warm air, which naturally rises up. Stand directly underneath the fan, and watch the rotation of the blades. They should be spinning in a counterclockwise direction, and you should feel the cool air movement. If not, you will need to change the direction by flipping the switch to change the direction of the fan blades. For vertical switches, flip the switch down for summer direction (downward airflow) or flip the switch up for winter direction (upward airflow). For horizontal switches, flip the switch to the left for summer direction (downward airflow) or flip the switch to the right for winter direction (upward airflow). An exception to the rule is If your ceiling fan is mounted on a two-story cathedral or a vaulted ceiling, the fan is too high to create a discernible wind chill, and therefore, can stay in a counterclockwise setting all year round. Not only will this keep you cooler, but help with the air conditioning bills. Stay cool my fellow Texans!